People who suffer from migraines on a regular basis are usually prepared to consider anything to save them from the misery of another attack. It is possible to take very powerful painkillers and also drugs that prevent or lessen the sickness that often accompanies a migraine, but these do have side effects. Many people turn to alternative medicine for an answer, trying out acupuncture, reflexology, massage or relaxation or other treatments. 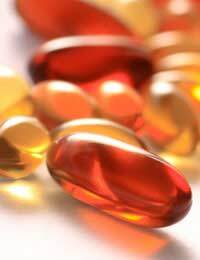 There is also growing evidence that taking vitamin supplements may help some migraine sufferers. A recent study carried out by researchers based at the Genomics Research Centre at the Griffith University in Australia investigated the potential of vitamin B and folic acid to reduce the frequency of migraine attacks and to lessen their severity and the impact they had on daily life. This was only a small trial with 50 people in the study group but the lead researcher reported that a significant number experienced improvements after taking the vitamin supplements for six months. There is some scientific thinking that explains why this might work too, which adds to the trials credibility. Other studies have shown that people who tend to get migraines have an altered allele in the MTHFR gene that seems to be related to their headache risk. The altered copy of the gene means that the blood contains more homocysteine than normal. This amino acid molecule has been linked with a higher risk of heart disease and stroke. Both vitamin B and folic acid supplements reduce this excess homocysteine, which is why scientists think taking these vitamins helps to cut the number of migraines that people suffer. Another study, with more migraine sufferers is planned in the next couple of years to find out the profile of the people who benefit the most from vitamin therapy with vitamin B and folic acid in particular. More research for the University of California this time says that vitamin B2 could be a key vitamin in preventing migraine – even when used on its own without the other B vitamins. Small studies have again been done in which two groups of migraine sufferers were treated with vitamin B2 supplements for three months, or a placebo. People in the treatment group reported a significant improvement in their migraine attack frequency and severity. Yet another small study – really small this time, with only 20 patients, concluded that half of the people in the trial got half as many headaches when they took vitamin B12 supplements delivered in a nasal spray. The mechanism proposed involves nitric oxide, which sounds an unlikely candidate for a natural product of the human body. But, nitric oxide is a common signalling molecule and it is thought to contribute to the development of migraines because of its effects on blood vessels. It usually dilates them, and dilation of blood vessels going to the brain could be one of the underlying processes in migraine. Vitamin B12 reduces the level of nitric oxide in the blood – so again there is a scientific mechanism that could explain the trial results. There seem to be many trials suggesting that vitamin supplements, particularly with members of the vitamin B family, may help prevent migraine. However, it is important to remember none has proved itself in large clinical trials and it is unlikely that funding would be available for such trials. If you want to try taking vitamins to see if they improve your migraines, see your doctor first and make sure that you take safe doses over a reasonable time – say 3-6 months. And make a migraine diary to chart whether you are improving. It won’t do any harm to improve your lifestyle generally at the same time. If it helps – stick with it.